Securing your cryptocurrency exchanges and wallet on a mobile device will set you back around $1000. Cryptocurrency is a force that continues to grow in importance, even driving the financial results of a GPU manufacturer, and is likely to continue growing over time. As more people and entities become involved in cryptocurrency, the risks will grow and a company has focused their efforts on providing a secure mobile solution. Sirin Labs is now developing the Finney, the only smartphone secure enough to hold cryptographic coins. Reported by Engadget, the device named after bitcoin pioneer Hal Finney will run on a fee-less blockchain. Blockchain is a coding breakthrough that structures data in a way where it can't be exploited by any single user. 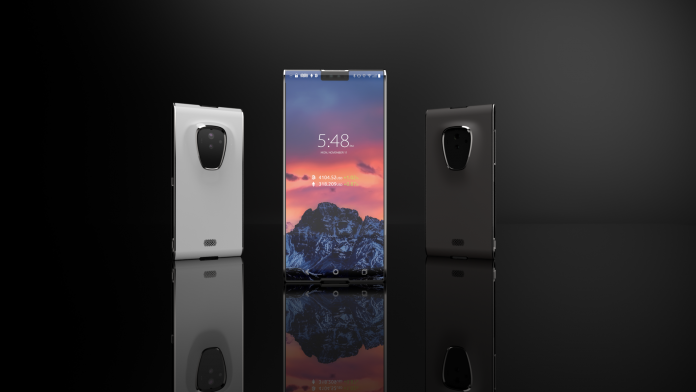 Sirin Labs' line of Finney devices, including an all-in-one PC, will work on a blockchain network with a Sirin OS specifically designed for blockchain apps like wallets and exchanges. The Finney smartphone will run you around $1000 the typical features plus some additional security measures. There's no set release date, but Sirin Labs will be holding a crowdsale event in October to support Finney development.